Bill Wild in his Malham Smithy workshop. 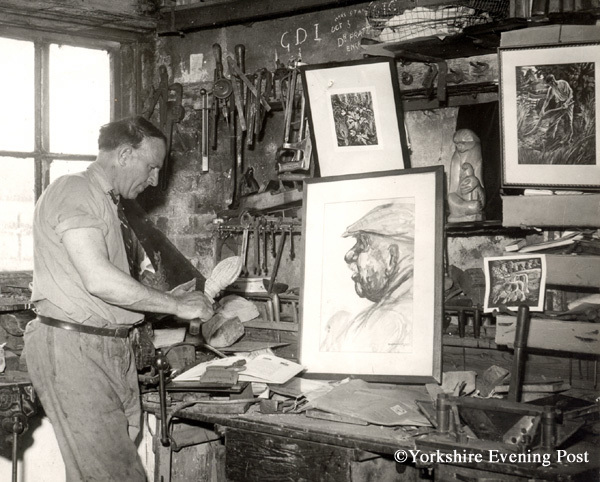 Bill Wild was the Malham village blacksmith from about 1946 until his death in 1985 and was an authority on the natural history of the area. 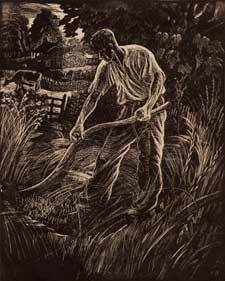 He was also a master craftsman and artist, working in many different mediums, such as wood carving, wrought ironwork; beaten and chased copper work and wood engraving; his work was widely acclaimed not only locally but as far afield as America. He was a fine watercolour artist and a clever cartoonist and satirist, also famed for his rams' horn walking sticks, the horns usually carved in the form of animals. 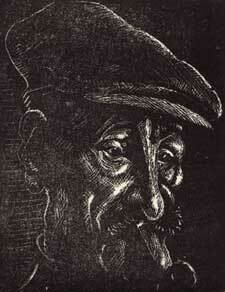 Granada Television made him the subject of one of its features on local artists, and he was used as a consultant by a university department on metalworking techniques. Biographical - born in Rochdale he was a skilled marine engineer until 1946 when allegedly he threw his tools at the wall, jumped on his motor-bike and headed for the Dales, which he'd known and loved since his teens, where as a member of a cycling club he'd spent every available moment of his leisure time. 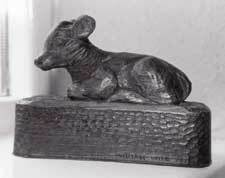 He took over the Malham smithy and settled at 2, Cherries Cottages, in Finkle Street. 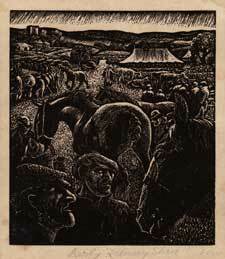 Local examples of his work may be seen in the church at Kirkby Malham, where there is a wonderful stainless steel kingfisher, a Christmas Crib made from carved wood, the font cover in wood and wrought iron and cards showing reproductions of some of his wood engravings, on sale to raise money for the church. 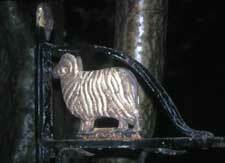 At Dale House in Malham village there is a fine pair of gates in wrought iron. 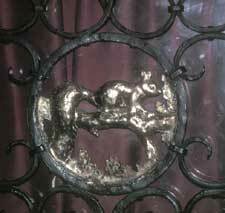 They show a ewe with its lambs, a ram, a hare, and a curlew surmounted by two swans' heads all gilded, a flight of swallows, two foxes' heads and ears of com and the framework in black wrought iron. 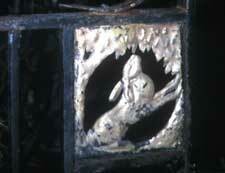 In The Buck Inn in Malham village a beautifully wrought copper fire hood, depicting foxes can be seen, made it is said from an old copper hot-water tank (no longer on view), and in the tiny hamlet of Hanlith, a weather vane, depicting a curlew, a hare,and a fox, surmounted by a badger (the full bodied beaten copper badger has unfortunately been replaced by a flat metal cut-out). 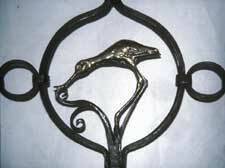 Further afield - at The Wild Boar Hotel at Crook, in Cumbria on the B5284 between Kendal and Bowness on Windermere, can be seen some magnificent wrought iron room dividers, depicting the birds and wild animals of the locality. 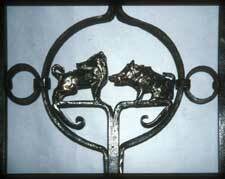 At the church of All Saints, Rochdale, are a pair of flower stands in wrought iron. The detailed work on them is amazing. 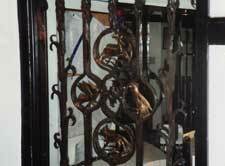 There is also a Paschal Candle stand – it’s thought this was the church where the Wild family worshipped in the 1930s. 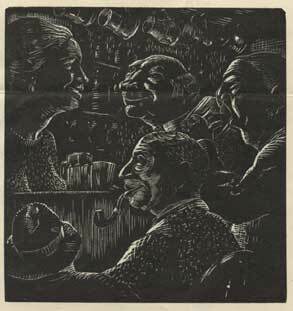 "Barmaid Gwen" an illustration for a poem by Arnold Vincent Bowen. He bequeathed the Malham Smithy to St. Michaels Church, and it is still in use, the rent providing income for the church. "Nature has a way of giving as well as its unkindlinesses." We have a collection of nearly 200 colour slides of his work in the Malhamdale Local History Group archives, plus a collection of photographs and a quantity of information about him. 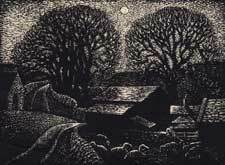 Moonlight - Looking south from the Old School, Malham 1982. 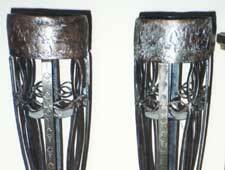 Bill Wild developed a way of facing the figures on his metalwork using brass, rather than the more traditional guilding technique used by others to enhance details. He used brazing rods to fuse a brass layer to the metal, and this also provided a surface he could further enhance if he wished, providing finer details than possible with the wrought steel. 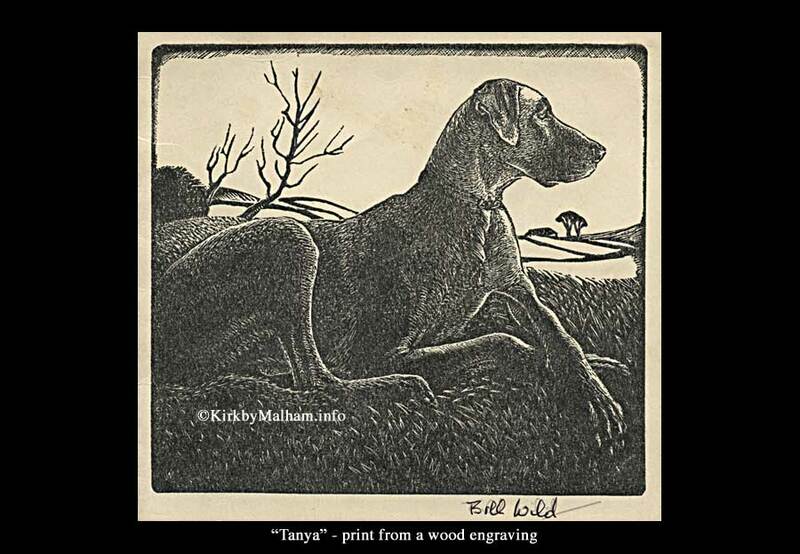 He was a prolific printmaker and many of his familiar wood engravings were originally sent to friends as Christmas cards. 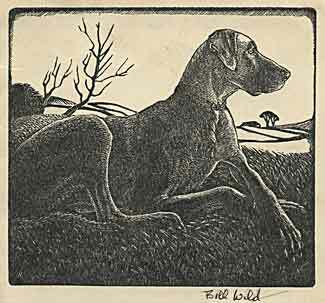 He used a variety of techniques including linocut, woodcuts and his favourite, the wood engraving, where the image is cut into the end grain of a polished boxwood block, although he also experimented with engraving on plastic blocks too. His blocks were not printed using a conventional printer's etching press, but using the engineers fly press in the smithy.